Jeff Wiesinger is the Executive Vice President for Operational Finance at Media Payments, Inc. Jeff leads the Finance and Accounting team for MPI, which maintains the internal control framework for the company and customer funds. The Finance and Accounting team also manages the payment transfers and customer account reconciliations. Prior to joining MPI, Jeff spent over 20 years in accounting and business advisory focused on accounts payable and payment processing. 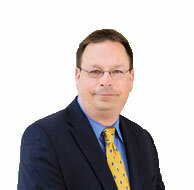 Jeff has created payment processing integration methodologies with several ERP and accounting systems. Jeff is the founder of Financial Systems Specialists, Inc., a consulting firm specializing in ERP and accounting system implementation and support. Jeff holds a B.S. in Accounting and a B.S. in Business Administration from Grace College, Winona Lake, Indiana, and is a Certified Public Accountant.